Two goats have been rescued, after going for a walk along a bridge beam 200ft above the ground. They were spotted at the edge of a turnpike bridge in the US state of Pennsylvania on Tuesday. 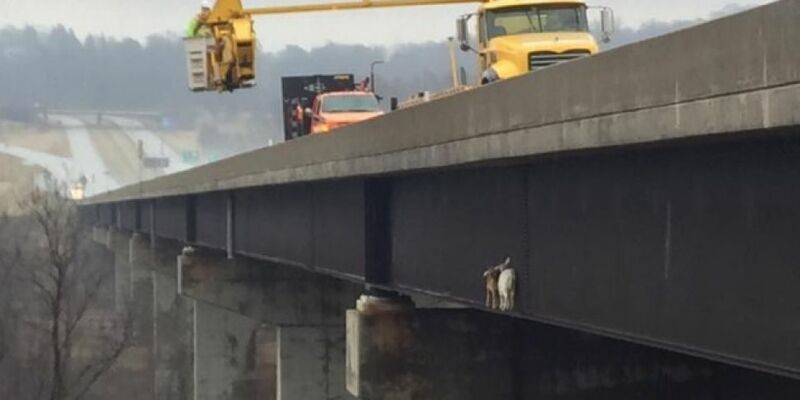 The two goats wandered away from a local farm and onto a beam on the Mahoning River Bridge. When found by police, both the Pennsylvania Department of Transportation and PA Turnpike employees worked to help save them. Both goats were rescued using a crane and safely returned home. It's not known how they got on to the high beam.